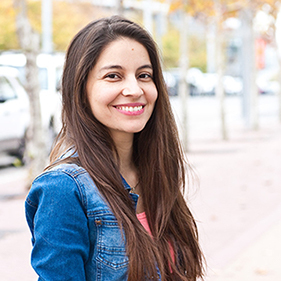 I’m Paola, the developer and designer behind Spicedberry. My aim is to create for you a website and logo that you’ll not only want to show off but will also help boost your business. I love coding, making logos and being creative in any way. I was born in Peru and in the early days of the World Wide Web, I taught myself how to build websites for fun. I later worked in the advertising industry in Canada but my passion for making websites only grew stronger. I now live in Australia where I was formally trained in Website Development. I haven’t looked back since! I enjoy picking my clients’ brains to produce work that is perfect for each one of them and aligns with their goals. Let me help grow your business and spread your online message to your customers.